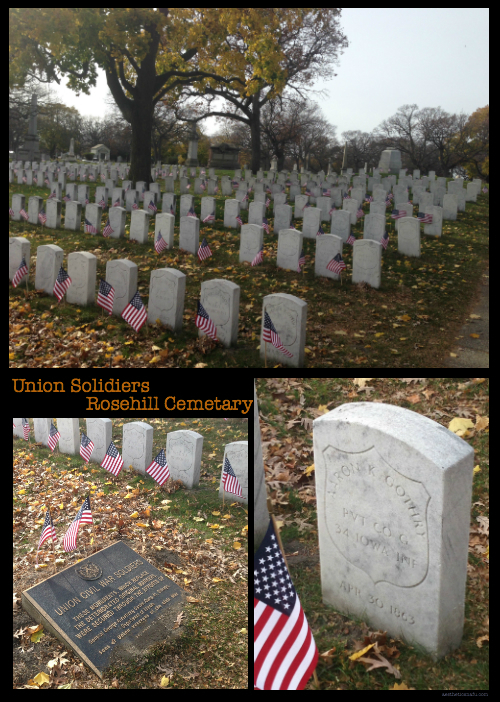 After visiting Graceland Cemetary, I realized that a visit to Rosehill was also in order. Rosehill is way larger than Graceland and, without a plan going in, I got overwhelmed and couldn’t see half of what I wanted to. Unfortunately – and unlike Graceland – Rosehill doesn’t have a map and allegedly doesn’t give out grave locations. So next visit I’ll have to be more prepared! Luckily, I accidentally went on the Sunday before Veterans Day to a graveyard that has extensive civil war graves. 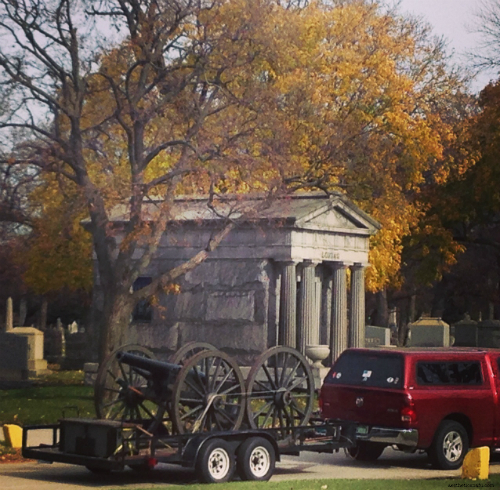 And of course, soldiers’ graves combined with Veterans Day requires gun shots and also… cannons? We also saw a few people in more conventional military garb, but this guy caught my fancy. 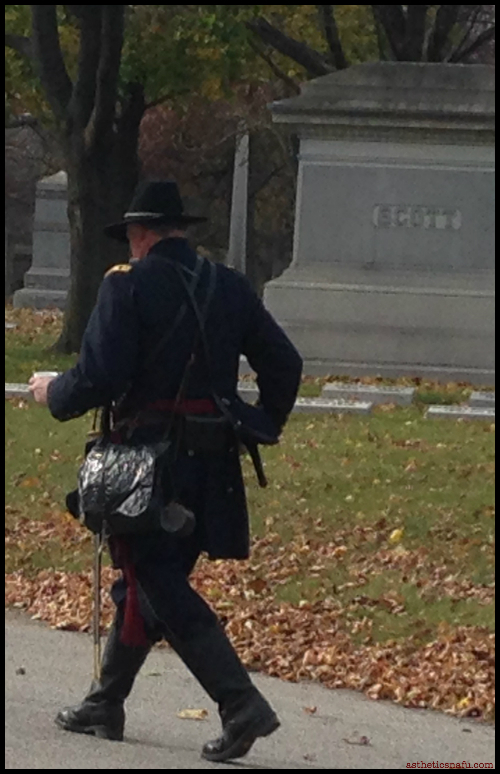 I was too chicken – or well-mannered – to run after him and ask how one ends up in historical garb in a cemetery on Veterans Day, but I would love to know how that happens. I have some, scratch that a lot of mausoleum photos from my visit that I can’t wait to share soon. This entry was posted in Chicago, Experiences. Bookmark the permalink.